Wood is more often associated with 19th century horse carts than with modern vehicles. 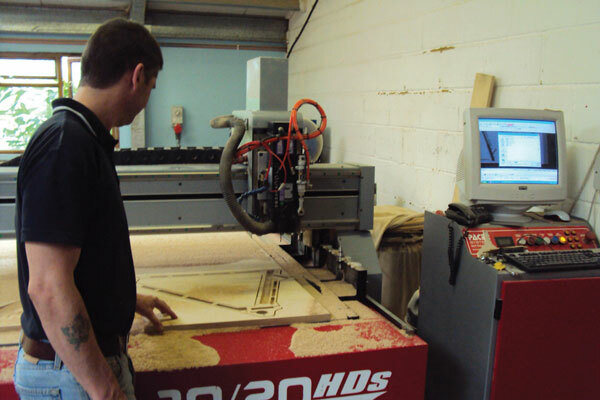 But for Mike Cubbage at Flat Frame Systems, building a frame out of wood means he can create his bikes in any shape. Four years ago Cubbage built his first bike out of wood, initially as little more than a personal challenge. It was only once he completed the bikes that he realised they could be sold. 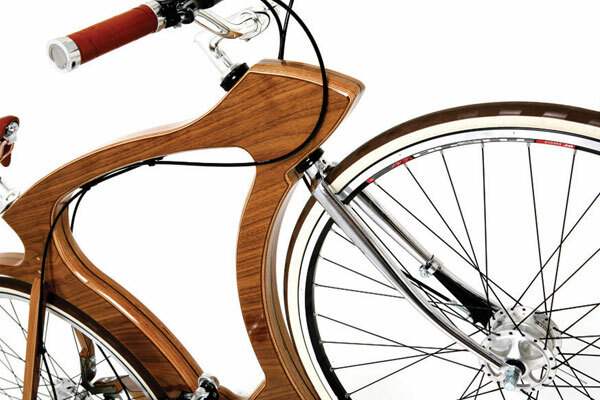 “The idea was a project to see if I could build a bicycle out of wood and how to do it,” said Cubbage. “Bikes are normally always in straight lines, but with this particular way of making them I can create curves. There are other people that make wood frame bicycles but not in the way I make mine.” Cubbage has created two prototype bikes that cater for both men and women. Made using 21mm thick birch plywood, veneered on both sides, the bespoke frames drape around the wheels, resulting in something that looks more like a classic motorbike than a modern bicycle. “Part of the beauty of the bikes is their simple design and the method used to make them,” said Cubbage, who hand draws the design on paper but uses a computer-aided CNC machine to cut out whatever shape he likes. No more than four pieces of wood are needed. This means the frames are versatile and adaptable and can be crafted depending on a rider’s requirements and specifications. “I can change the shape easily, make it smaller, wider, taller. Then you can change the effect of the bike by choosing the veneers, so each bike will be totally unique,” he said. Cubbage describes his creations as “lifestyle bikes”. Being light and fast isn’t the aim, although the wood is hollowed out to ensure the bike is not too heavy. 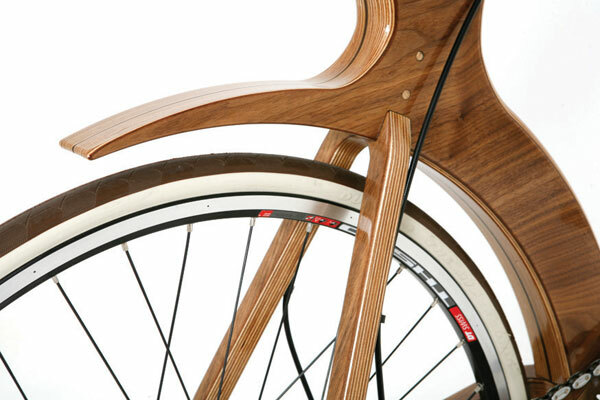 The bikes are made to look good; even the chain, retro leather seat and cream wheels are chosen to showcase the wood. Cut into exciting shapes like these, cyclists can ensure their bike is truly different from everyone else’s, and these prototypes are just the starting point for what Cubbage hopes will be more wooden bikes in the future. This article was first published in the June 27 issue of Cycling Weekly. Read Cycling Weekly magazine on the day of release where ever you are in the world International digital edition, UK digital edition. And if you like us, rate us!